The presentation of history of the Internet in the United Kingdom is varied, a wide variety of sources presented by a variety of organisations and users from major websites, blogs and other sources as well as debate and discussion online via YouTube, social media and forums. The examination into the presentation, debate and discussion has uncovered some very interesting points in relation to the presentation of British history of the internet. It could be argued that the examination of history online highlights the issues and trends within the study of history as a whole. Exploring the different types of website as well as the outlets for history online have uncovered a rich and varied presentation of different historical periods as well as varied approaches to sources, for example film and images. Gender history, social, cultural and domestic history are all part of the way the history is presented in Britain across websites, blogs, YouTube videos, social networking and magazines. There is a lack of broad sweeping narrative history, an importance placed on accuracy and informed debate and also a prominence of a narrow specialised focus in the representation and discussion of topics. A knowledge of as well as a critical approach to sources was also an important feature of unofficial debate. The other key points to highlight are the strong connections with education within history online and the links with television and broadcasting generally. This type of history that dominates the presentation of history online in Britain results in the dominance of a focussed history and one that does not necessarily examine Britain’s place in Europe and the rest of the world. There is some evidence of the Britain’s place in Europe and the resistance to Nazism; however it does not form a large part of history online in Britain. There are a number of issues in terms of scope that need to be resolved before starting the discussion and findings. The potential scale for this research is large. The amount of resources, possible topics and consequently possible search terms is vast. Consequently, the possibility of the research becoming unwieldy and without focus was an issue. Initial research on the type of information that was available and how it was presented aimed to focus the research. The initial research aimed to gain an understanding of the predominant history websites in Britain. The popular websites were discerned using the terms ‘history’ within a google.co.uk search and then further general searches for ‘British history’ and ‘history of Britain’. The initial analysis will start with these websites on the first three pages of the Google search results for these terms. The initial searches highlight a further issue that emerges when examining history of Great Britain or the United Kingdom, what terms do you use? The scope of this project in terms of Britain also needs to be defined. Examining the history of Britain on the internet opens up some issues surrounding definition of what encompasses British history. The history of England, Wales, Scotland and Northern Ireland and even Ireland could be incorporated. There is also a body of scholarship that argues for the inclusion of the British Empire in domestic British history. The research will focus on the presentation of British history and discussion, comments, posts that defines content as ‘British history’ rather than history of England, Wales, Scotland or Ireland. This particular issue has become more prominent over the past decade or so as devolution of the Welsh parliament and discussion of Scottish independence have resulted in more definite English, Welsh, Scottish histories compared to an all-encompassing British history. These areas could form individual studies in themselves, and consequently will form one of the recommendations at the end of this study. The discussion will start by outlining the main historical websites in Britain and chart what type of history is presented, particularly examining what periods and topics are given prominence. This will include a brief look into the representation of British history on Wikipedia. Official websites dominate these searches, particularly broadcaster, media and education organisations, and the actual debate within them is limited however there is still interesting analysis to make. Examining the dominant themes that emerge within the results of these very basic and broad ranging search terms highlights the ‘big topics’ in British history online. In particular what are the key time periods, figures or topics that dominate as well as the approaches that these sites take? The discussion will then go onto a look at the more unofficial presentation of history online. Firstly, it will look at the numerous blogs on British history and those that focus on broader history. It will also look at who created and wrote these blogs, what is discussed and the comments and debate that emerge. It will also look at the capacity for connectivity with social media and how that influences the spread and debate of history online. Once again the discussion will look at how these sites connect to the key findings of this overall discussion, mainly through the links to education, the media and the style and type of history that is presented, i.e. narrowly focussed history topics. The discussion will then move onto a brief look at social media and social networking through an examination of Facebook; however this aspect of the research needs more work. The debate was informed and this section of the paper will look briefly into where the information comes from and the interconnection of history knowledge online. The discussion on the ‘unofficial’ presentation will then move onto an examination of comment and debate on YouTube and forums/discussion boards. Generally, YouTube it is a site of a great deal of debate, discussion and comment and has ended up being a very fruitful site for this research. Reading through the comments and discussion can be very frustrating and demonstrates the pitfalls of researching online comments and debate; however the discussion reinforces the general trend of history online. A number of videos of documentaries on British history have long debates some featured hundreds of comments. A discussion that will look at these comments and also debates within forums will look at how history is debated on these sites. There are a number of issues and ideas that have emerged while undertaking this research that could be taken further. The paper will conclude with a few recommendations for further research as well as general conclusions about the key findings of the project. The main recommendation is a more in-depth look at the connection between blogging and social media and the sharing of posts, topics and sources. Twitter in particularly is a website which historians, particularly postgraduate students, archives, museums and university departments have utilised to a great extent. Research into what is ‘Tweeted’ and shared would be very beneficial within the broader research of history online in Britain. The search term the ‘History of the United Kingdom’ brings up some different results to that of ‘British history’ but the overall trends are the same. The sites that emerge range from those that are generally historical and focus on history of the UK again include British History Online and more academic sites, broadcaster sites such as the BBC and the History Channel and also a couple of museum websites. Education, connected to both schools and universities dominated the results for searches for ‘British history’ and ‘history of the United Kingdom’. The first website on the search for ‘British history’ is British History Online, a digital library that brings together primary and secondary sources from the medieval to the modern period of the history of the British Isles’.3 The website is a joint venture by the Institute of Historical Research and the History of Parliament Trust and they ‘aim to support academic and personal users around the world in their learning, teaching and research’. Even though it is an academic/educational website it is not a subscription database and so is available to the public. However, the site is aimed primarily at the academic and the student as a database of a range of primary sources, the majority of which are specialist and in-depth. For example letters used as evidence against Mary, Queen of Scots, The Casket Letters, from the Calendar of State Papers for Scotland, an architectural account of the Covent Garden Theatre and the Royal Opera House from the Survey of London, the Bill of Rights from the Statutes of the Realm, letters on the marriage of Katherine of Aragon from the Calendar of State Papers for Spain and Titus Oates’s Narrative concerning the ‘Popish Plot’ from the House of Lords journal to name a few. The main source for British history on the Internet is arguably the BBC.4 The searches for all the variations of ‘British history’ result in the BBC History and other related pages featuring in the top pages of results. The timeline of British history is the first BBC result which acts as a gateway to the main sites on each of the periods of British history.5 The main section on British history features links to the ‘big topics’ of British history – Normans, Middle Ages, Tudors, Civil War and Revolution, Victorian Britain, WWI, WWII and ‘the making of modern Britain (1945-present).’ As well as the major topics the site also features ‘special sections’ on ‘Empire and Sea Power’ and ‘abolition of the slave trade.’ The topics outline some of the bigger events of each period, for example the Boer Wars during the Victorian period. The main method of presentation of history on the site is specific in-depth articles that delve into social and cultural history. ‘Tudors and Victorians: Dressing Up’, ‘The Victorian Seaside’ by Prof. John Walton, ‘The Foundling Hospital’ by Rhian Harris and ‘On the Best in Birmingham’ by David Cross are just some examples in the Victorian section of the site. Articles on the site also often feature topics and themes that are part of the BBC schedule and current programmes. Clips and additional material often features prominently and the main homepage links viewers to history stories within the main news. Indeed, the links between history on the internet and history on television is an important one and alongside education dominates history online. The BBC as a major distributor of history on the internet as well as one the television highlights the link. Within the first pages of the ‘British history’ search results the BBC programming features heavily including links to the recent ‘A History of the World in 100 objects’ BBC project and ‘The Great British Story: A People’s History’ a BBC Two production. The search for ‘history of Britain’ and the ‘the history of the United Kingdom’ also brings up a number of YouTube videos and links to television productions. Youtube will be discussed later in this project; however, the connection to television is an important factor within simple searches on Google too. A search for the ‘History of Britain’ will result in links to Simon Schama’s A History of Britain documentary series as well as YouTube clips of the BBC ‘A History of Ancient Britain’ programme. Indeed, the portrayal of history on the Internet and on television can be seen to be strongly linked in Britain. Blogs and magazines feature ‘popular’ history or what could be described as ‘flavour of the month history’. Articles and blog posts link to the history on the television and the history in the media and particularly the BBC and leading newspapers. Wikipedia does need a brief examination due to its prominence within the searches for history on the internet. Wikipedia entries feature in the first half-page of Google results for searches for ‘British history’, ‘history of the UK’ and other variations of the terms. For many, searching the Internet for history would bring them to a Wikipedia entry; indeed Wikipedia entries dominate the results of searches for historical events, periods, people and themes. On the whole the presentation of British history on Wikipedia follows the trend of the rest of history online. The general broad sweeping history of Britain is relatively limited. The ‘history of the British Isles’ Wikipedia entry has a sentence on Roman Britain with a link to the entry on Roman Britain.6 There is no text on ‘Early Medieval,’ ‘Early modern period,’ or the ‘18th and 19th centuries’. The ‘20th and 21st Centuries’ was split into 1900-1945, 1945-1997 and 1997 to present. There is no mention of the ‘big topics’ of British history, Henry VIII and the Tudors, the Victorians or the Industrial revolution and World War II is only featured in half a paragraph. The entry on the British Isles is a stepping off point to the more in-depth articles on British history, indeed there is a list featured at the bottom of the entry of all the periods of British history from pre-historic to modern Britain. To read through more in-depth history, the topic, period or historical figure would have to be known and searched for or found by clicking through the links to other entries. The main difference between the presentation on Wikipedia and other sites is the approach in terms of topics. ‘The history of the United Kingdom’ and other big topics tend to focus on the political and monarchical elements of British history. Unlike the websites, blogs and social media the presentation of history is not about the cultural, social, material and domestic history but the political and economic side of history. The examination of the themes presented in the official and most prominent websites highlights the dominant themes and the priorities of history in the UK. The media and education dominate the presentation of the history online. The sites present a narrow topic based history with a focus on sources. These sites do not allow for a great deal of discussion, it is the unofficial sources that allow for an examination of the debate and comment. Blogs, social media, YouTube and forums reflect the trends in the official sources but also reveals interesting features in the understanding of history and sources. There are a large number of blogs centred on history and these include general history blogs but the majority are focussed and look at a particular period or source type. There are blogs that look at Georgian history, Victorian history, Tudor history, photographic history and oral history to name just a few. The very nature of blogs allows a more in-depth look at a specific topic or source; however it is interesting to note what type of history is being examined and what sources are being used. An examination of these blogs once again highlights the in-depth and sometimes specialist nature of British history and the lack of a broad sweeping presentation of history online, the importance of highlighting little known sources and topics, the strong connections to education and the links with the media and history on television in relation to what topics are discussed. The project and blogs created are intrinsically linked to history in higher education. Debates focus on how students can reach a wider audience with their work. There is a connection between online history, particularly blogs and social media, and the digitisation of sources. Often the dissemination of the history online uses the increasing amount of primary material that is being placed online. It is interesting that the top site on the Google search for ‘British history’ is a site that collates primary sources for anyone to use. One commenter added more material and examples of sources within their post and others pointed towards podcasts and articles that may be of further interest. Comments on the post ‘Grub Street in 1641’ on ‘Mercurius Politicus: A Blog about Early Modern Books’ also highlights this trend. The comments include questions on sources, evidence and further information. The trend in which commenters add further information and sources is important one in terms of history online. Debate could also be analysed in terms of the connection to social media and social network sites. Blogs provide the opportunity to link to the post via Twitter, Facebook, Google+ and other sites. Lucy Inglis the author of ‘Georgian London’ stated that her blog gained ‘traction’ through Facebook and Twitter.17 It could be argued that blogs are read and commented on by a different type of online user than those on social media and YouTube. Readers and commenters on blogs are more likely to be already interested in the topic and have a knowledge that could be brought. However, the links between social media and blogs would benefit from further study, what topics are ‘linked’ between these websites? What is reblogged and retweeted? This is a different type of debate and discussion to that found in blogs and on YouTube, but a great deal of the history online is distributed via social media websites. YouTube saw a large amount of ‘debate’ by commenters, with many clips of documentaries on British history including hundreds and some thousands of comments. In terms of the unofficial debate and content online by non-historians, the comments and discussion offer a great deal of material. There are issues with looking through these comments and sieving through some of the inappropriate posts is part of this type of research, however, the majority of the discussion reflects the general trend in history online. The posters and commenters focussed on the factual information and the in-depth aspects of history, looking at the details rather than the broad sweeping narrative. The source of their knowledge is not clear, unlike blogs and forums, links are not common, however the debate reveals some interesting comments on the use and approach to history. The importance of historical accuracy also finds its way into the clips that feature ‘historical’ topics but may not site themselves as history, for example, topics related to the British Empire and its former colonies. These clips often featured long debates on the nature of imperialism or a debate surrounding the positives and negative of Empire or whether the United States was an imperial power. Indeed, the topics that could be considered to be more contentious within the scholarship did have more debate and comments. One six minute clip of the children’s programme the Horrible Histories in which they explain the history of the British Empire using a comedic, but still educational, method had almost 6,500 comments. A large amount of these comments are not about history, and many comments descend into angry heated attacks. This is also the case in the comments on the Niall Ferguson documentary ‘Empire: How Britain made the Modern World’. Debates revolve around the cruelty of the British Empire and also argue against the idea that Britain ‘made the modern world’. History was used, whether it was using facts on figures or events to highlight points and arguments or prove another poster was incorrect. The discussion and debate within YouTube comments reflected the broader trends in the presentation of history online in Britain. The posts on YouTube were informed and showed a good knowledge on the approaches to history as well as the topics themselves. However, the source of the knowledge was not clear. It is through forums that a more focussed debate occurred and provides another angle on the ‘unofficial’ presentation of history online in Britain. There are a number of forums that focus on history. Again, a narrow specialist approach to history dominates. A Google search for history and forum/debate reveals a great deal of local history sites and also specialist history topics, for example naval history and Scottish Local History.27 Family history is also a feature of the forums and the discussion on them. General history forums are viewed and posted on by thousands and the majority of these are not British history focussed however some relate such as the Napoleonic Wars and other military history topics.28 The main forums look at specific historical figures, such as Chamberlain and Henry VIII.29 Again this debate highlighted the informed nature of debate online. It is within blog comments and forum posts where links and sources were cited or highlighted. The source of these informed comments and debates are linked back to websites, books and other sources. As we have seen within the blog comments, the additional information that is included is archival reflecting the more academic nature of the blogs and their readers/commenters. The forum posts take a slightly different approach. Where sources are cited or linked to, they tend to be popular and non-academic; however, citations are made and on occasion asked for by other forum users. “Because the reign of Henry VIII was more exciting and more dramatic. Henry VII was a clever, shrewd man, but did not have such an exciting personality as Henry VIII. Nor did he have six wives. Nor did he preside over a major social and religious upheavel [sic], like Henry VIII did. Henry VIII is simply more colourful and exciting. The awareness and importance of accuracy and evidence, even though it’s different to the blogs is evident and can be seen as a key point within the research on the forums. The style of debate and discussion topics has led to a revisionist historical line of thought in some areas. This was particularly the case through the posing of questions within the forum posts, such as who was a bigger threat to Britain, Hitler or Napoleon? The very nature of the post topic allows the discussion to look at different angles and highlight new approaches to topics, which often take into account other actors in an event. However, these still tend to be focussed on the domestic and the in-depth focus on a topic, rather than the broad sweeping history of Britain. As we have seen throughout, on the whole, the history online in Britain focuses on domestic history and international history is presented as a separate from British history. Blogs, websites and other outlets look at social, cultural, gender, medical, history of the home and other topics that look in depth into the a particular period focussing on Britain. The representation of history in general online in the UK is one of British domestic history that focuses on these approaches and a separate world history which includes Europe. The British Empire connects the two to an extent, however the history of Britain as connected to Europe is not a feature. Even the history of the two World Wars on the BBC website, the major source for online history in Britain, focuses on ‘the home-front’. There is a link to Europe through an article on the interconnection between the Royal houses of Europe in WWI, however this is not the general trend. The section on World War II focuses on the Blitz, evacuation, the Home Guard, the role of women and advertising and information posters. Discussions online also follow this trend, particularly in blogs. Consequently, the ideas and issues such as the relationship to Europe, resistance to Nazism, the Shoah and post-socialist society do not form part of the history presented online. Even the general history sections of the BBC that features sections on the Cold War etc. do not present Britain’s involvement rather a focus on topics such as ‘John F Kennedy and the Cuban Missile Crisis.’ The only article that looks at Britain’s involvement discusses the ‘Cambridge Spies’. The discussions online that connect Britain to topics outside domestic history tend to be comparative in nature, for example comparing the British and American impact on the world within YouTube debate. This is similar to the presentation on Wikipedia. When the history looks beyond the United Kingdom or Britain the representation of history looks to the British Empire or occasionally America (with its historic links to Britain). For example, the Wikipedia entry on the ‘History of the United Kingdom’ includes a section on the Empire at various points from 1707 and also includes a section on the American Civil War. Ireland also features quite heavily but very little on European connections. On the whole, European history and the associated topics tend to be separated from British history across sources and websites. Social networks, particularly the connection between social networks and the other history online deserves further research. This work has highlighted the interconnection between social media and blogs as well as the interconnection between the media and history online, however more work needs to be done here. ‘British History’ on Facebook has over 4,500 ‘likes,’ but what does that mean for history online? Through a brief examination of Facebook a few general points can be made. The topics that feature and consequently will appear on the feed of those who have ‘liked’ the topic are linked to big historical figures, battles and events that have occurred on or around the date that they are posted, ‘Today in History’. Examples for September/October include the Battle of Poitiers and features on Samuel Johnson, Alexander Flemming and Isambard Kingdom Brunel. There are not many comments, the majority featuring between two and ten. The interest lies in the links between social media and other websites. As has been noted earlier, an examination of how topics, sites and sources, particularly via Twitter and blogging, are linked is important would be an interesting angle to take in the study of the presentation of history online, particularly in Britain. Further and more in-depth analysis of the forums would also be beneficial, particularly in relation to examining the links and sources users have cited. Linked with these ideas, further research into some of the smaller social media websites would also be beneficial. The scope for this project is large so there have been some sites that have not been looked into which could prove fruitful for further research. Social media websites such as Tumblr and Pinterest, both predominantly image based may yield some interesting information. And finally, as highlighted at the beginning of this work it is important to examine the specific countries within the United Kingdom. There is a great deal of Welsh, English, Northern Irish or Scottish history on the net. As in this current period of devolution and independence debates this would be a very fruitful area to look into, particularly the discussion on the use of history within broader topics and ideas. The presentation of history online in Britain is linked strongly to education, particularly higher education as well as strong links to the media and television. The history online focuses on the specifics of history, it’s not a broad sweeping narrative approach, which has resulted in a much more focused presentation. Accuracy, sources and detail are important both in the presentation on websites and blogs and also debate and discussion on YouTube and social media. Overall the debate, blogs, websites etc. are focussed on the niche and specifics of history. On the whole, the history online is presented as domestic or world history, separated by websites and web users. Consequently, there is not a great deal of examination of Britain’s place within the world or Europe. 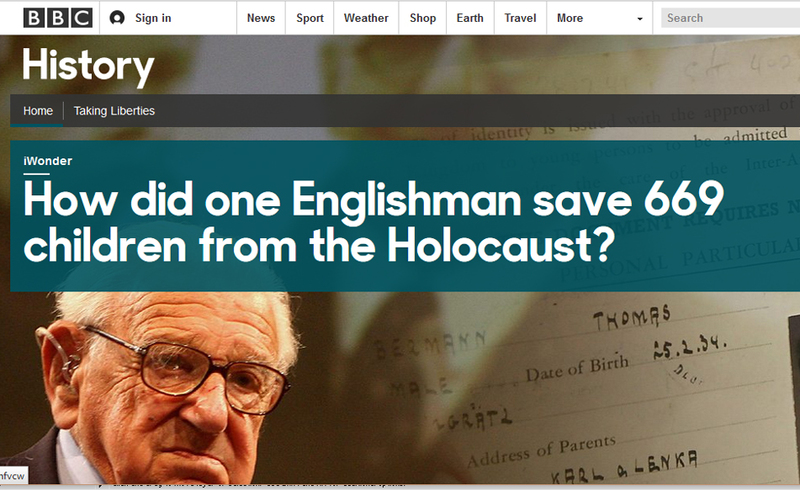 Even the major sites for British history such as the BBC narrow down the focus of broader periods such as World War II to information on the home front. The history online in Britain is informed and varied and this research has shown the varied websites and methods of distribution have all highlighted these trends.  20th Century British History (Oxford Journals) <http://tcbh.oxfordjournals.org/>; British Society for the History of Science < www.bshs.org.uk/>; The Centre for Contemporary British History (CCBH) < http://www.ccbh.ac.uk/>; Institute of Contemporary British History (KCL) < http://www.kcl.ac.uk/innovation/groups/ich/index.aspx>; The Royal Historical Society < www.royalhistoricalsociety.org/>; History (University College London) < http://www.ucl.ac.uk/history/>; British Society for the History of Mathematics < www.dcs.warwick.ac.uk/bshm/>; Institute of Historical Research < http://www.history.ac.uk/>.  Parliament and Women <http://parliamentandwomen.wordpress.com/blog/>; Georgian London <http://www.georgianlondon.com/>; Mercurius Politicus: A Blog about Early Modern Books <http://mercuriuspoliticus.wordpress.com/>; History and Culture <http://kathleenmcil.wordpress.com/>; Health, History and Happiness <http://markhonigsbaum.blogspot.co.uk/>; Travels and Travails in 18th Century England <http://phdpanacea.wordpress.com/>; History and the Sock Merchant: A Modern History Blog <http://historyandthesockmerchant.blogspot.co.uk/>; Cradledincaricature: Some Thoughts on History, Cartoons, and Satire <http://cradledincaricature.wordpress.com/>; Scottish Diaspora Blog <http://thescottishdiaspora.wordpress.com/>.